When my friend told me he was leaving New York City for the much smaller city of Norwich, England to take over his dad’s fish & chips shop, I couldn’t imagine why. Wouldn’t he get bored? Then, I visited him in his idyllic town with a population of just over 200,000 and an excellent location near the central eastern coast of the country. As he opened up his shop in the morning, locals passed by and waved. There were friendly faces everywhere, as people sat across the cobblestone street in nice weather. They played with their kids, listened to buskers, read, or simply enjoyed a chat. It was all so gentile and civilized. “Is there much crime here?” I asked my friend. “No, the crime rate is fairly low,” he told me. 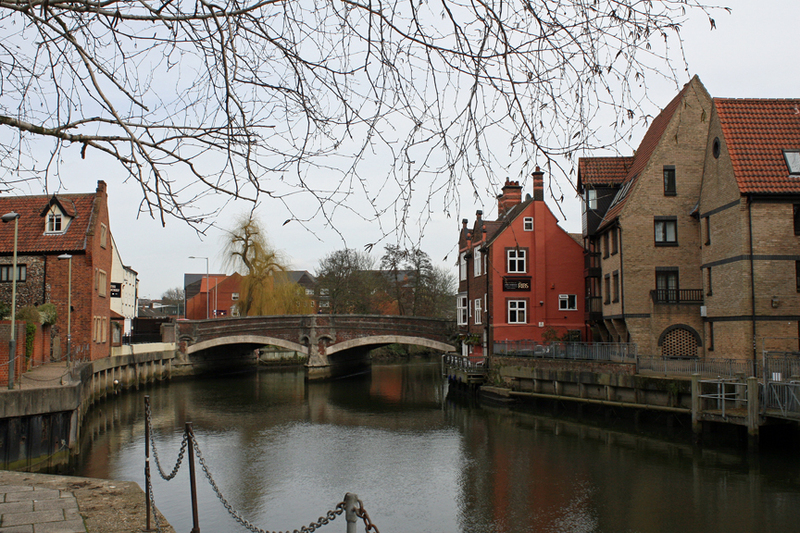 Besides the friendly people, what I love most about Norwich is the historic architecture. When I use the word “idyllic,” I don’t use it frivolously. 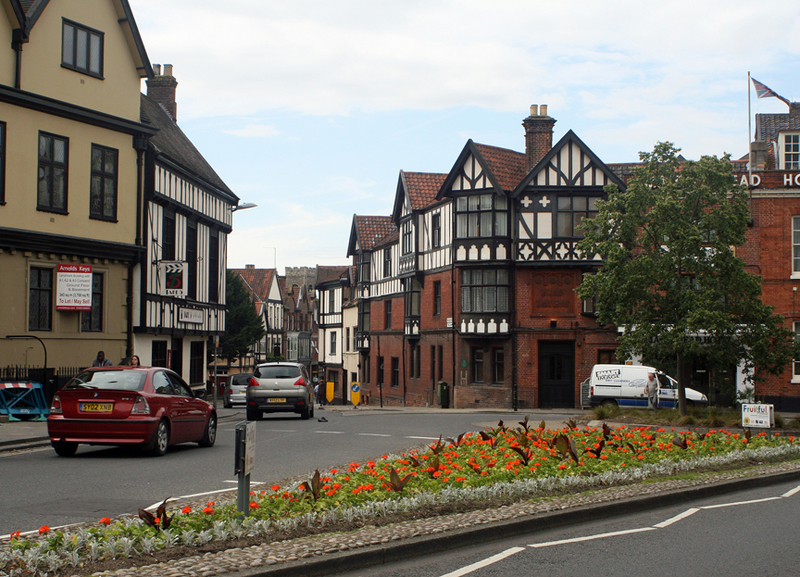 In the 11th century, the city was England’s second largest. You can still see that legacy in its winding streets, some narrow and cobblestone, that mix contemporary buildings with the medieval. 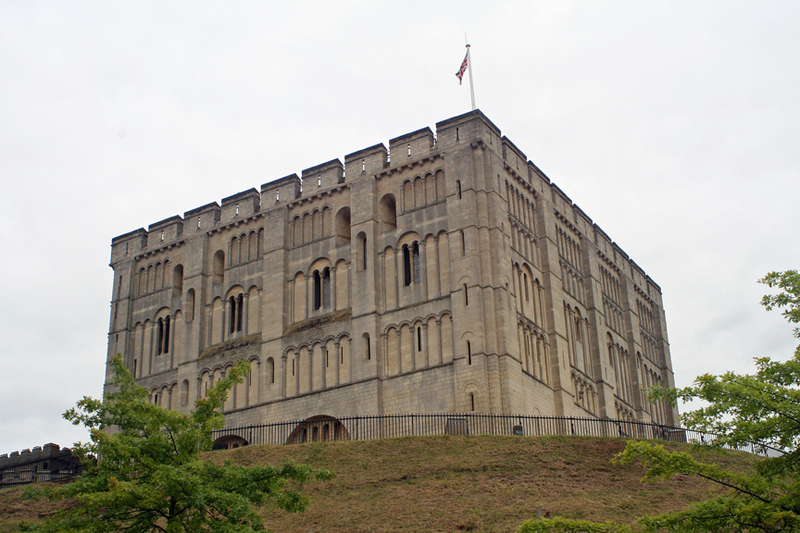 You’ll see markers on buildings that date back to that time in the 11th century, including Norwich Castle, which was built by the Normans. Displays inside include animations that give you a taste of life during Henry I’s time period. Another 900-year-old building is the Romanesque Norwich Cathedral with the second tallest spire in the country, as well as the largest monastic cloisters. There are beautiful grounds and gates surrounding the Cathedral, and a canal runs through one of the gates. While at the cathedral, look for Nosey Parker’s coat of arms, which are on the wall of the northwest corner of the cloisters. He’s one of Norwich’s most famous residents. Appointed as the Archbishop of Canterbury in 1559, his real name was Matthew, but he got his nickname because he did such a careful job of cleaning up the Church of England, making sure he knew everyone’s business. The Great Hospital is an example of a 13th century medical facility, with 250 black eagles painted on the chancel ceiling of the cloisters. Meanwhile, the 14th century Halls, which consist of St. Andrew’s Hall and Blackfriars Hall, are the most complete medieval friary complex in England. Strangers’ Hall is a 14th century building that’s now a museum. There is a Tudor great hall, a Georgian dining room, a room with dollhouses, and a 17th century garden. 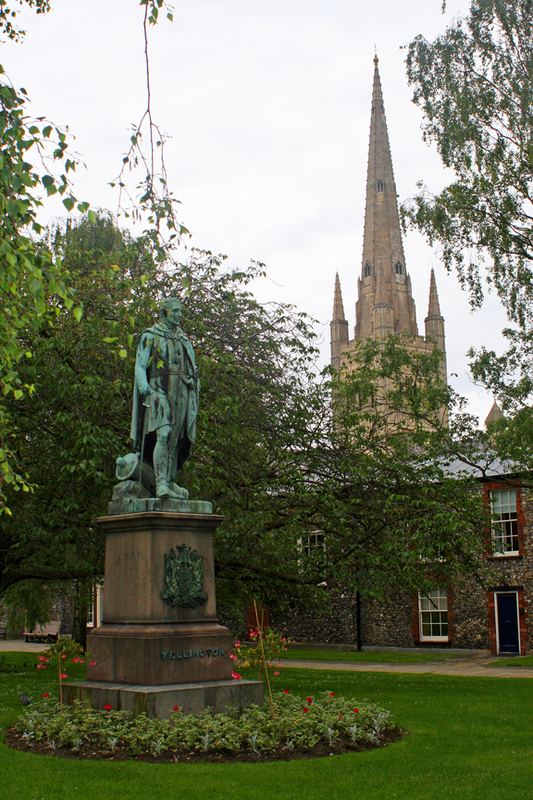 Norwich is also known for its rich literary history, as one of only six UNESCO Cities of Literature in the world. Besides literary events held annually, the city has England’s most popular library, the Norfolk and Norwich Millennium Library. My friend’s fish & chips shop, Grosvenor Fish Bar, is considered the city’s favorite. 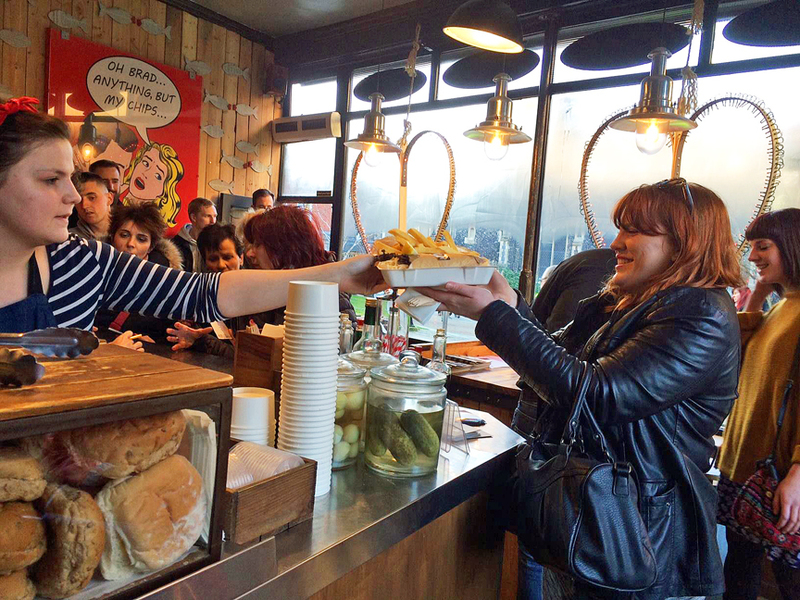 Located at Pottergate and Lower Goat Lane on the famed cobblestone Norwich Lanes, the shop serves more than just fish. It also serves patrons at The Birdcage pub across the street when they want to have a pint with their food. Don’t leave town without having a pint at Adam and Eve, though – the oldest pub in Norwich, purportedly dating back to the 13th century. The current building is not the original, however, but was built in the 17th century. If you’re into shopping, check out the many shops on The Lanes, where you’ll find a subsidiary of London’s Irregular Choice shoe store, where the shoes are works of art. I love the ones that have swans for heels. Then, there’s the largest permanent open-air market in England with stands that have multicolored roofs. 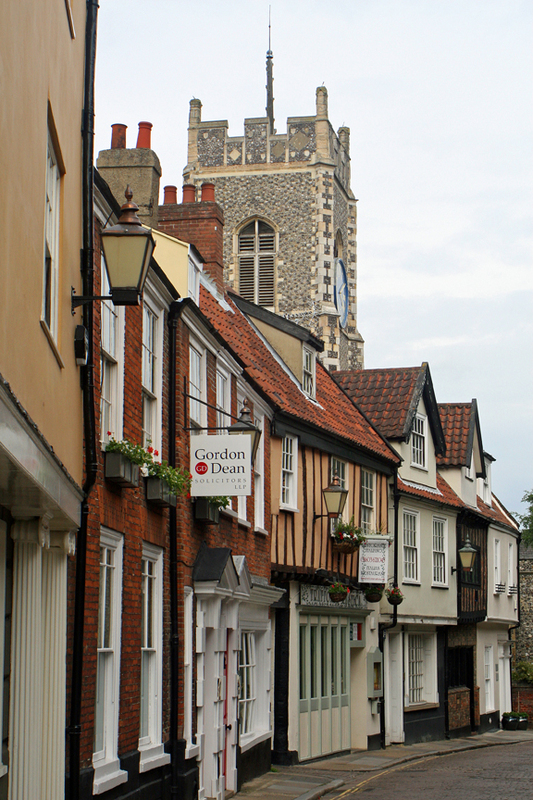 To reach Norwich, it takes about two hours by train from London’s Liverpool Street station. It’s the perfect jumping off point for visiting the coast and other sites in Norfolk, such as Great Yarmouth and The Broads, which consist of more than 125 miles of man-made, lock-free waterways. Melanie Votaw has authored or ghostwritten 26 books and has written travel articles for such publications as Executive Travel, Business Insider, Just Luxe, Travel Savvy, Luxury Web, and the South China Morning Post. She maintains her own travel blog called Trip Out on Travel and has visited nearly 50 countries on six continents. Her photos have been published in magazines and books, and one of her images became a mural for an Amazon exhibit at the Texas State Aquarium. Her favorite travel experiences include a waltz ball in Vienna and riding a microlight over Victoria Falls.